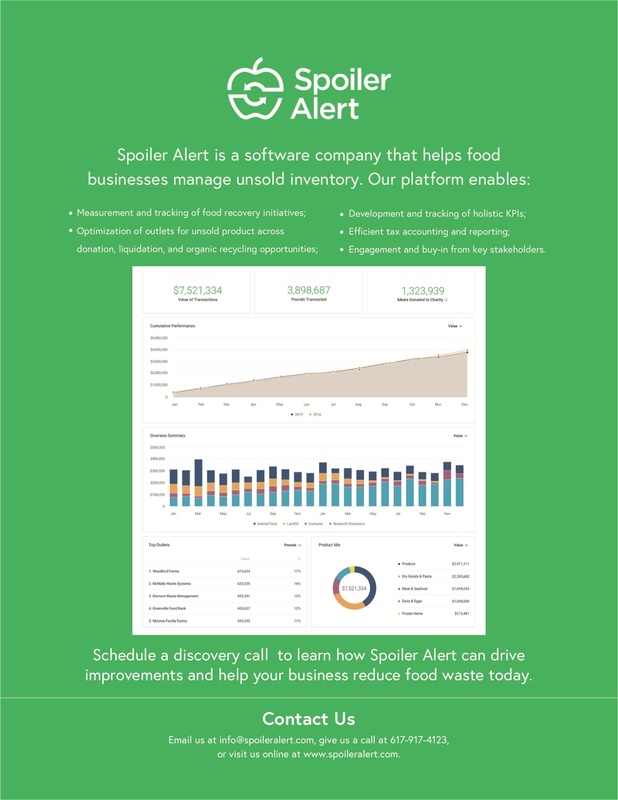 An overview of recent Spoiler Alert updates, including the release of a new eBook that focuses on using data to reduce food waste. 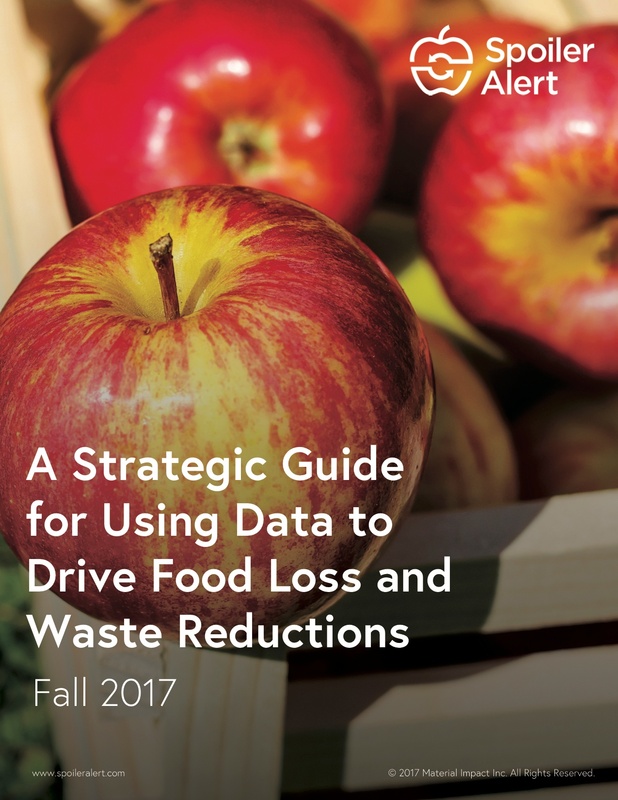 This month, we are pleased to share the newest resource in the Spoiler Alert library - A Strategic Guide for Using Data to Drive Food Loss and Waste Reductions. 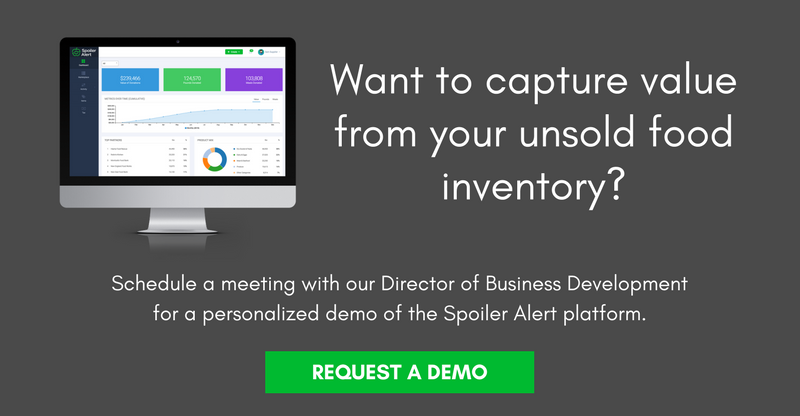 The free eBook is designed for major food businesses interested in leveraging data to reduce food waste and capture value from unsold inventory. Additional details below. October is chock-full of industry events and we hope to see some of you there. Early in the month, CEO Ricky Ashenfelter will present at the Sustainable Spirits Summit in Kentucky, while our Director of Business Development heads north to The Consumer Goods Forum’s Sustainable Retail Summit in Montreal. We will also be attending SOCAP17 and the IFDA Distribution Solutions conference later in the month. Let us know if you want to meet up! Finally, we are still looking for all-star candidates to join our team. If you want to make your mark on the food system, check out our openings today. Any and all referrals welcome. 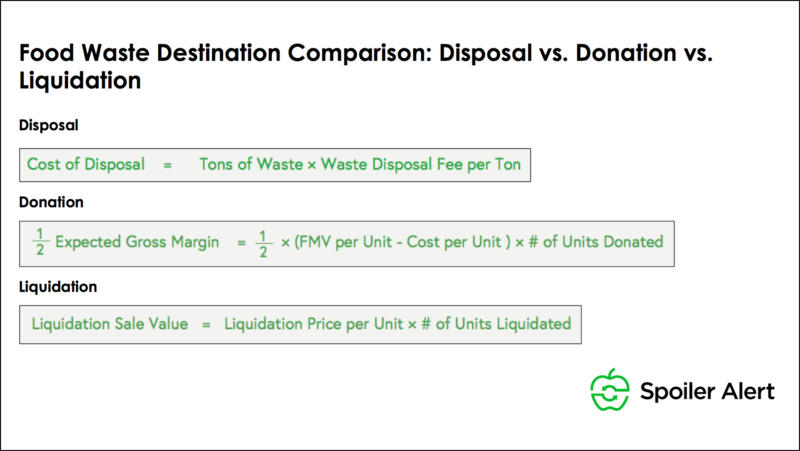 Spoiler Alert CEO Ricky Ashenfelter recently published a guest commentary for AgFunder News on the value of leveraging data to build the business case for holistic food waste management strategies at major food businesses. To get a flavor for the content in our new eBook, we encourage you to check out this Sustainable Brands’ feature that highlights two of the many KPIs food businesses can use to assess food recovery initiatives. Added eBook Bonus: Screenshots from Spoiler Alert's updated platform! An added bonus of downloading our new eBook is the chance to see some screenshots of our updated product dashboards. Our engineering team is always hard at work designing the best product for our customers, and we couldn’t be more excited to share it with you. Reach out for your own tour!